The Morgan LifeCar is the most gorgeous fuel cell car I’ve ever seen. The LifeCar will be displayed to the public at Geneva Auto Show in March. 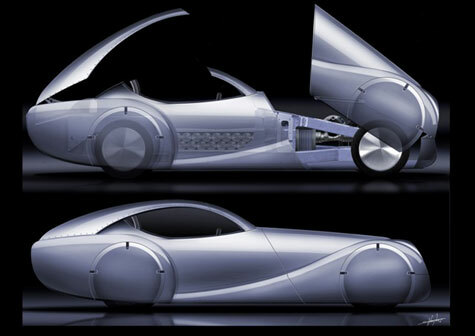 The Morgan LifeCar is a concept car due to be launched at the Geneva Show in March 2008. The LifeCar’s purpose is to demonstrate that a zero emission vehicle can also be fun to drive. The combination of performance, range and fuel economy will allow a sporting driver of the future to demonstrate a concern for the environment.